I’m happy you have stopped by to gain some perspective on the multi benefits of Reiki for pediatrics. Families in crisis are often left wondering what to do. How can I help my child who is struggling emotionally and/or physically? Strides are being made in the alternative healing arena. Little by little, more parents are exploring care options. Reiki, which is an energy healing modality, can offer a child so many opportunities to release and reset their nervous systems. Through your child’s initial consultation, a care protocol is established. It’s tailored to your child’s needs and we lay the groundwork for their healing journey. Pediatric care is also paired with other therapies. It poses no contraindication. Once we get them over the “hump”, their care will adjust and we can maintain them. As they grow, any adjustments can always be addressed as their brains develop. That’s the power of consistency in care. We meet the child at their level! Most mothers that start their child on care will eventually ask if they can receive care, too. ABSOLUTELY! Mama Bear care is equally important. Mothers can come and decompress and we can work on releasing, resetting and recharging your body, mind and Spirit. It also helps the family dynamic. Even pets in the home can feel the energy shift! Life can be messy, sticky, stormy, thorny, and downright challenging. It’s also beautiful, empowering, awe inspiring and fabulous. It is during the stormy times that we tend to question, doubt and lean towards discouraging energies. My role is to work with you and together, reel you back to the shoreline so the horizon begins to clear up. It’s not always pretty work, but it’s so damn worth it. What you see here is just the beginnings of what is to come. I’m grateful that you visited and look forward to working with you and your family. A native of Upstate New York, 2017 marks my twentieth year living in Las Vegas. When I’m not mentoring, writing and creating, you’ll find me on the Pilates Reformer (it has literally changed my life), embracing the detox benefits through hot yoga and the infrared sauna(I’m obsessed), savoring my caramel lattes (MUST have), and replenishing my soul through traveling. I’m grateful to be alive. Amen! Today, kids are exposed to multiple streams of static that can affect their nervous system. Our bodies are made up of life force energy. An imbalance to this energy may result in frustration, a touch of the blues, poor sleep, stomach discomfort, change in focus, difficulty completing homework, outbursts or anxiety. Reiki is a healing system that allows the trapped energies to be released, giving the body, mind and Spirit a chance to reset. Many mothers who start their child on care will eventually ask me if I can work on them, too. ABSOLUTELY! 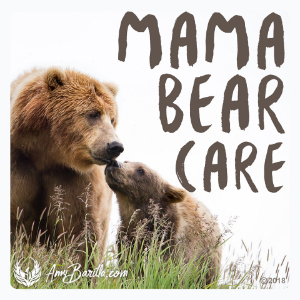 Mama Bear care is super important. What I have observed, over the past ten years doing this amazing work, is that definitely healing trickles down. When mom is happy, relaxed, clearer, it radiates to the others not only under her roof, but those she interacts with out in the world. All of these can be potential triggers to their emotional and spiritual framework. Our bodies are made up of life force energy. An imbalance to this energy may result in frustration, a touch of the blues, poor sleep, stomach discomfort, change in focus, difficulty completing homework, crying outbursts or anxiety (a combination may occur, too). Reiki is a Japanese healing system that has been in practice for many, many years. Healing by laying of hands dates back thousands of years. By gentle placement of the practitioner’s hands over various energy points on the body, the transference of life force energy between client and practitioner takes place. This allows the trapped or stagnant energies to be released, giving the body, mind and Spirit a chance to reset. It’s important to note that Reiki is not a religion. Many often think it is and feels it conflicts with their personal belief system. It is Spiritual in nature, pure and simple. There is no doctrine or dogma attached to this alternative modality. What makes Reiki beneficial for kids is that their entire being soaks up the energy like a sponge. When receiving their table time, they feel safe and most often report feeling the tingling, or feelings of butterflies fluttering in their stomach, as the healing energy is moving about their bodies. They tend to become relaxed to the point of nodding off. Triggers are tamed and reactions are decreased. Thus, their recovery time to things that caused upheaval, are lessened. They are able to be redirected easier when they aren’t having that intense emotional release. Since 2008, I have been dedicated to helping families with children in need of emotional and spiritual support. Chiropractic For Life is where it all began. 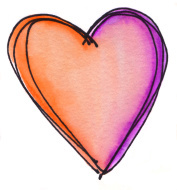 I am both happy and grateful to to be a contributing partner in your child’s care journey. From newborns to college bound kids, the positive benefits are far reaching. When kids are happy, parents are, too. This positivity trickles down and can equal a family recipe for success! Bring me your children! Let’s get them started on care so they can begin to feel better. I, Amy Barilla, am not a medical professional and my services do not replace medical care for humans, children, or animals. My services do not replace psychiatric care. My services cannot diagnose, treat, cure, or prevent an illness in humans, children, or animals. 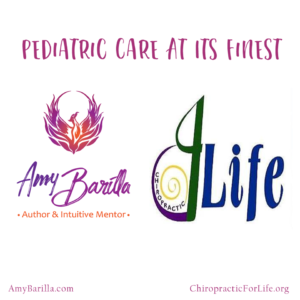 I, Amy Barilla, am not liable for any decisions made by you during or following a spiritual service regarding your health or your life in general, your child’s health or life in general, or your pet’s health or life in general. Everything discussed during our session is completely confidential on both parties ends. If you are taught anything during our session, the information is not to be repeated or replicated as your own. I am not responsible for your healing or health. I cannot guarantee results for you, your child, or pet. I do not offer refunds on any of my services or classes for any reason. New homes and offices leave behind imprints from the previous occupants. Fresh paint and flooring will clean things up aesthetically, but we need to go a step further. Even a new construction will leave behind the same imprints due to all the hands that contributed to the building process. Everything is energy. 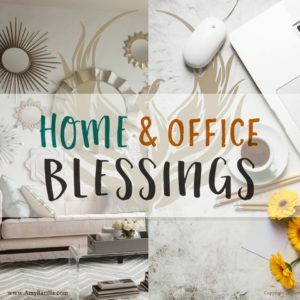 Clearing out the previous imprints and laying a solid foundation by going through the rooms and infusing intentions of prosperity, success, joy and peace are part of the Home & Office Blessing visit. 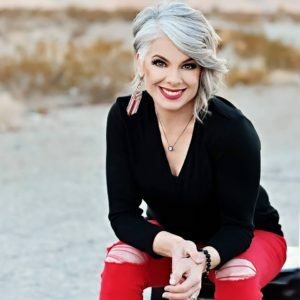 I will gladly come to your new home or office, connect to the energy and sweep out what isn’t of the Highest and Best vibration. Clients will also receive a blessing bag as part of this package with some great little gifts to make your new space further shine. Are you ready to map out a healthier, more focused perspective? Feeling as if you need a loving nudge but aren’t sure where to start? Intuitive Mentoring sessions can offer you an opportunity to work with a coach and help you identify what is needed in terms of action steps and clearing. Cobwebs can hinder our ability to see clearly and we wind up in a stagnant- type holding pattern. Together, we work on a healthy, empowered strategy to shake the dust off and move forward. Sessions last 60-70 minutes and you will leave with a lighter step and we’ll also co-create some fantastic power mantras for your post-care. your life in general, your child’s health or life in general, or your pet’s health or life in general. Everything discussed during our session is completely confidential on both parties ends. If you are taught anything during our session, the information is not to be repeated or replicated as your own. I am not responsible for your healing or health. I cannot guarantee results for you, your child, or pet. I do not offer refunds on any of my services or classes for any reason. More mentoring (we set intentions, create affirmations and you may even have some homework. Personal responsibility IS integral to your healing). I will always suggest that you come for care on a day when you are flying solo. Your brain will further relax and it’s truly dedicated healing time all for yourself. What I have observed, over the past ten years doing this amazing work, is that healing definitely trickles down. When mom is happy, relaxed, clearer, it radiates to the others not only under her roof, but those she interacts with out in the world. Let’s get you on board and work on taming your triggers and decompressing your body, mind and beautiful Spirit. Everyday Messages was a project three years in the making. Several years ago, I found myself channeling affirmations and motivational mantras for everyday life “stuff”. Initially, I shared them on Facebook and the website. 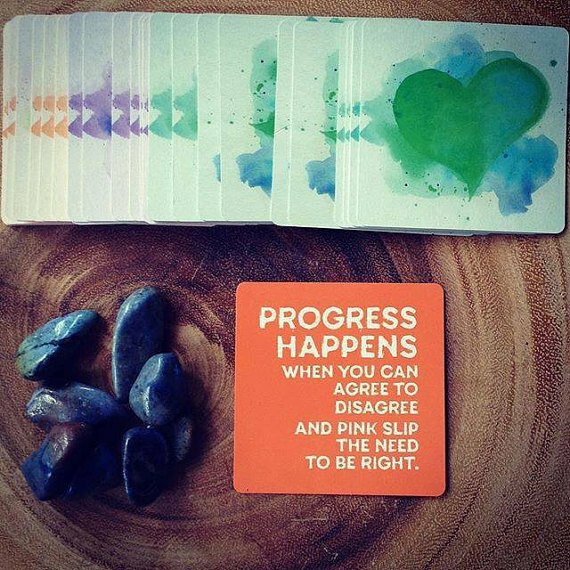 I then began creating mantras for clients as part of their individual sessions.. Over time, I had so many, I decided I’d like to turn them into a deck. They went through a couple of overhauls and facelifts, but the core messages were never altered. This thirty-three card deck fits perfectly in the palm of your hand. Do not be fooled by it’s smaller size. They are vibrationally high and will not disappoint. 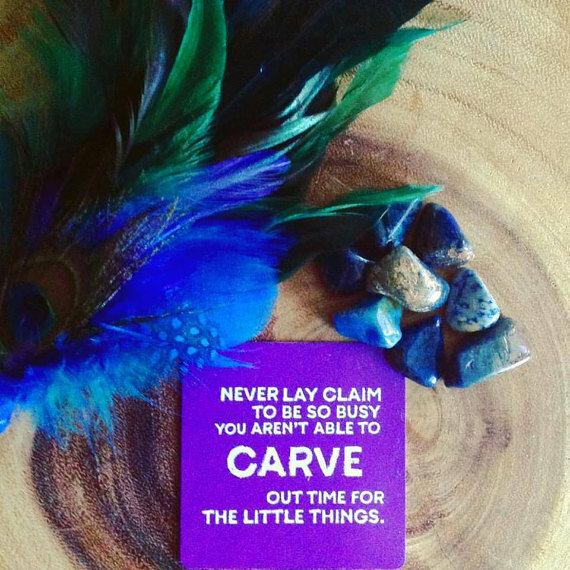 The words, colors and artwork are here to offer you a daily nudge, support and motivation amidst the business of our modern, sometimes chaotic human existence. Not only are they suitable for adults, but families are also partaking in selecting their daily cards. I am overjoyed that they are playing a positive role in the lives of so many, so quickly. 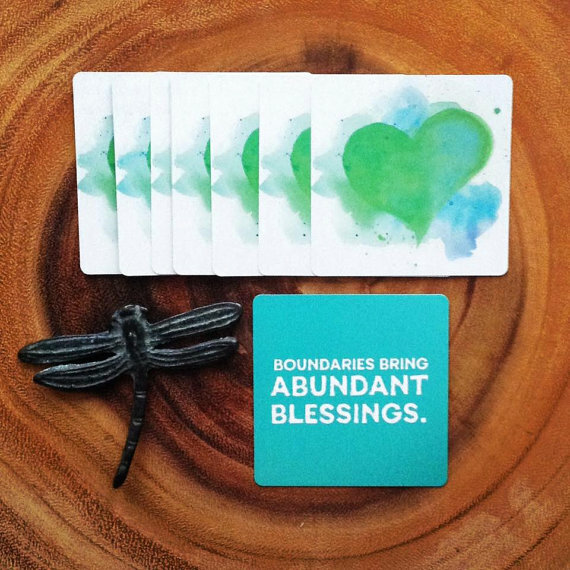 I’m grateful and look forward to seeing them in your homes(and hands) as they inspire and stretch you beyond your comfort zone towards new, improved levels of awareness and healing . If you would like to contact me to schedule an appointment, I’d love to hear from you! Send me an email: info@amybarilla.com or call 702-875-2967. You may also connect through Facebook, Instagram & Pinterest by clicking on the icons. I’ve always felt that when we give, it is returned to us many times. I’ve had a long time love with birds of prey. 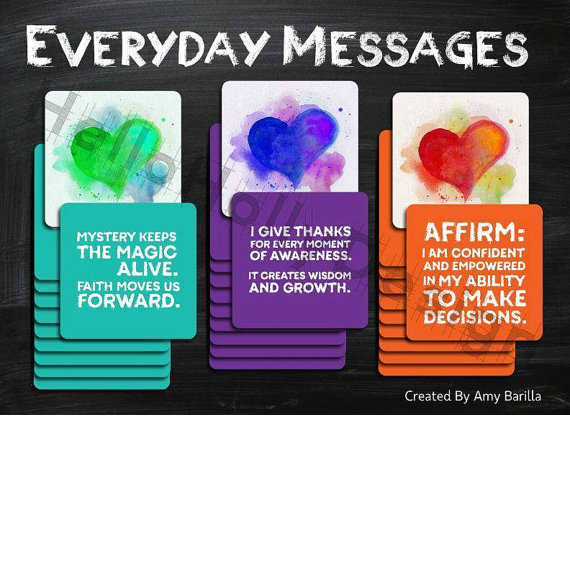 They have taught me how to see through the layers, to hone my vision, and to see the deeper meaning in everyday things (no wonder the deck is titled “Everyday” Messages). That being said, it is an honor to work with The Peregrine Fund as my charity of choice. Each quarter, a portion of sales of Everyday Messages will be donated towards the ongoing efforts of these amazing humans, who tirelessly devote themselves to educating, rehabilitating and conserving our beautiful winged friends.